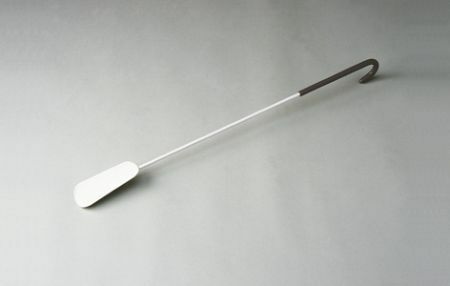 Metal Shoehorn Sturdy And Durable With Long Handle. A sturdy white epoxy coated steel shoehorn with long handle for easier reaching, and a hook for a handle and to hang it up. The handle has a soft PVC hand grip.